Jay J. Cheng is a Professor of Biological and Environmental Engineering at North Carolina State University. He works in the area of environmental engineering & bioenergy processes and his primary focus is on research and teaching. His research and grants investigate bioenergy processes and waste treatments. Cheng’s publication record has resulted in over 85 articles in refereed scientific journals, and more than 90 papers in national and international technical conferences. He is the editor of “Biomass to Renewable Energy Processes” a book published in 2010 and considered a standard reference and textbook in the area of bioenergy. Cheng research program is well funded having secured over 6 million dollars as the principal investigator or co-investigator for 33 research projects. His program centers on international research collaborations demonstrated by over 65 key-note speeches and seminars in the US, China, Europe, Japan, and South America. 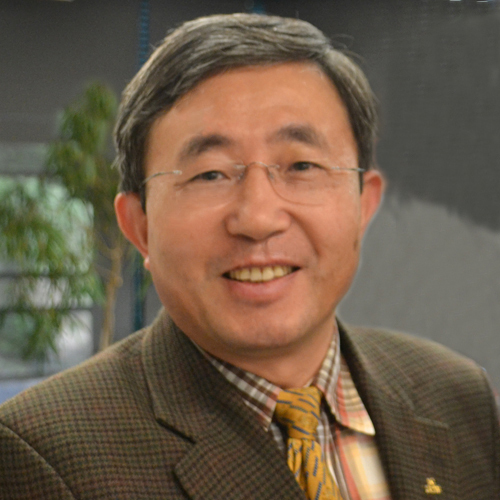 He has served as an Associate Editor for the Journal of Environmental Engineering and is the present associate editor of the Journal of (Chinese) Biology. He has served on more than 25 national and international professional committees and is well recognized for his research work. In addition to his research program Cheng teaches a course in “Biomass to Renewable Energy Processes” and he has mentored 24 graduate students. Cheng is an associate faculty member of NCSU Department of Civil, Construction, and Environmental Engineering and an adjunct faculty member of the Peking University –School of Environment and Energy in Shenzhen, China. Cheng is a member of the American Society of Biological and Agricultural Engineers (ASABE), International Water Association (IWA), Water Environment Federation (WEF), Association of Overseas Chinese Agricultural, Biological, and Food Engineers (AOC), and Chinese Association for Science and Technology in USA (CAST-USA). Transcriptomic Profiling and Gene Disruption Revealed that Two Genes Related to PUFAs/DHA Biosynthesis May be Essential for Cell Growth of Aurantiochytrium sp. Ansanay, Y., Kolar, P., Sharma-Shivappa, R., Cheng, J., Park, S., & Arellano, C. (2017), Journal of Agricultural Engineering, 48(2), 117–122. Lignocellulosic materials, such as switchgrass and coastal Bermuda grass, have been extensively studied as potential feedstock alternatives to corn for the production of bioethanol. Considerable research has been devoted to the development of rapid pre-treatment methods to enhance the hydrolysis of cellulose to fermentable sugars by removing lignin and/or hemicellulose, in order to reduce the crystallinitiy of cellulose, and increase the porosity of the feedstock. These pretreatment schemes include the use of chemicals (acids and bases), electromagnetic heating technologies (microwave and RF), ultrasonication, steam explosion, or a combination of these methods. Continuous flow microwave processing at high power levels (100 kW) and industrial frequency ranges (915 MHz) allowing, for higher throughputs (semi-industrial capacity of 1-2 liters per minute to industrial capacities of 1-10 gallons per minute), has proven to deliver an economically viable processing technology for efficient and uniform heat treatment of various biomaterials. This patented technology, along with process validation tools, has resulted in the creation of 5 businesses (presently providing 40 new jobs with an estimated 250 additional jobs within 5 years in North Carolina). For this project, the main goal is to generate data for (i) scale-up, (ii) optimization, and (iii) progress to commercialization of continuous flow microwave-assisted alkaline (1% NaOH) pretreatment of lignocellulosic feedstock (switchgrass or coastal Bermudagrass) using a prototype continuous flow microwave system. The data will potentially establish increased surface area of the lignocellulosic substrate and improved enzymatic hydrolysis, thereby increasing the yield of alcohol (using less energy) and. Once the continuous microwave technology is optimized for maximal ethanol yield, scale-up and regeneration loops will be designed in a manner similar to that for systems currently in place for commercial processing of biomaterials. The goal of this proposed research is to develop a technology that efficiently converts genetically engineered switchgrass with less lignin and more cellulose to bioethanol. Lower costs will be expected for the technology, compared to the current ones. The specific objectives are to: 1. Clone cDNA of a key lignin biosynthesis gene 4CL (4-coumarate:coenzyme A ligase) from switchgrass (Panicum virgatum L.); 2. Genetically transform switchgrass for reduced lignin and increased cellulose; and 3. Improve efficiencies of transgenic switchgrass to ethanol through pretreatment, hydrolysis and fermentation. In this multi-disciplinary research team, we have expertise in grass transformation, lignin/cellulose synthesis biochemistry and molecular biology, and fermentation for ethanol production from cellulose. Collaborative experiments will be conducted to achieve the goal and objectives of this project. This proposed project will have significant economic benefits for renewable energy production. Although at the present there is very little switchgrass grown in the US, many states, e.g. North Carolina, are very suitable for its growth. If the price is right the acreage would rapidly grow. An estimate by NCDA at 2004 indicates that switchgrass could be grown on some 4.4 million acres in the state, involving 11,000 farms, and by our calculation, the switchgrass-to-ethanol industry revenue could reach $4 billion/year. Moreover, hundreds of jobs will be created by the switchgrass-to-ethanol plants. At this scale, a reduction of each one percentage unit of lignin and conversion of it to cellulose would increase the revenue by $95 million/year without any more input due to the increased ethanol production. The Goal of this one-year proposal is to evaluate the feasibility of ethanol production using duckweed biomass as the carbohydrate source. The Objectives are: (1) Create a scaled up version of the duckweed cropping system to finalize cropping management protocols and biomass harvesting; (2) Develop procedure for biomass post-harvest handling to produce dry duckweed with stabilized carbohydrate; (3) Determine ethanol yield from dry duckweed biomass at pilot plant scale; and (4) Perform an economic analysis of the overall process. Our partners include (1) Hog producer, Mr. Julian Barham, to build and test the duckweed cropping system utilizing hog wastewater. Our work also has the support of Murphy Family Farms (See supporting letter). (2)We will partner with Aeroglide, Inc., an international leader in industrial drying, to develop a low-cost drying process for duckweed biomass. (3) We will partner with Novozymes in our work with the NCSU Ethanol Pilot Facility at the Lake Wheeler Experimental Farm to determine ethanol yield from duckweed biomass. The beneficiaries of our work will be North Carolina?s agricultural and industrial sectors and rural counties because of the following positive impacts: ? Microbial fermentation is a major industrial process including, but not limited to, ethanol production. Developing duckweed as an industrial feedstock for microbial fermentation will provide a major incentive for location of microbial biomanufacturing facilities in NC which could become a new economic driver and result in an increase in high-paying jobs in rural NC. We estimate that up to one billion gallons of ethanol could be produced annually from duckweed produced from the State?s hog wastewater. Extending our technology to utilize municipal wastewater would increase production further. ? Our work provides a treatment system for swine wastewater that can meet environmental concerns and provide additional revenue to farmers thru sale of duckweed biomass. Our system transforms hog wastewater from pollution to productive asset and removes a major obstacle and risk to swine industry presence and expansion in NC. Industry expansion would increase agricultural revenue and employment for rural North Carolina counties. ? Developing a new, non-food, industrial fermentation feedstock will ease price pressure on grain commodities and the negative impact price increases have on the swine and poultry industry of NC, while providing a source of added revenue to the farm bottom line. ? Duckweed ponds can utilize land that is unsuitable for crop production, and therefore does not compete for limited, high-value crop land. We estimate that approximately one-half million acres of land would be needed to fully utilize all hog wastewater for duckweed production. Wastewater provides the water and nutrients needed for duckweed production. ? Existing starch-based hydrolysis and fermentation technologies work with duckweed biomass, providing lower technological risk relative to ligno-cellulosic biomass alternatives. Lower risk provides a favorable climate for capital investment needed for industrial scale commercialization. ? The limitation of fresh water resources in NC looms as a challenge to NC economic expansion and is a key consideration for large-scale ethanol production. Our wastewater system cleans wastewater sufficiently to allow for reuse thus significantly impacting the availability of water needed to grow the State?s economy. To achieve our Objectives we are requesting financial support from teh new NC Biofuels Center for our one-year project. Our projects effectiveness will be determined by its success in generating intellectual property (from results of Objectives One-Three) and from the outcomes of Objective Four which will serve as technological and economic results that can be used to initiate discussions with commercialization investment partners. Sponsor: Neuse River Compliance Association, Inc. The North Carolina Department of Environment and Natural Resources (NC DENR) has used an offset fee to allow developers to pay for excess nitrogen resulting from new development. This rate had been set to $11 per pound of nitrogen per acre of development per year for 30 years. This equated to a fee, or payment, of $330 per acre-lb N. Recently, NC DENR has discussed increasing the payment to $57 lb N/yr/acre, but recent legislation leaves the final fee unsettled. The fee may also be applied to waste water plant operators in the Neuse for all pounds of nitrogen that exceed their initial allocation. The cost to certain municipalities and counties to pay for extra nitrogen removal from wastewater facilities calculates to millions of dollars. The purpose of this project is to determine the cost of nitrogen removal for three alternative technologies: those for crop agricultural, those for animal agriculture, and those for urban stormwater. Renewable energy sources have been investigated as alternatives for the fossil fuels that will be depleted in the near future. Switchgrass, an NC native forage grass, has been identified as the herbaceous energy crop by the Bioenergy Feedstock Development Program of DOE because of its high biomass production. Ethanol, a biofuel, can be produced from the cellulose of switchgrass. Aiming at increasing North Carolina?s strategic advantage in its agriculture, NCSU has bred three new switchgrass cultivars for various areas of NC as a future energy crop as well as a forage crop. Switchgrass is well adapted across North Carolina and once established, grows as a long-term perennial. Its potential yield, under a two to three cut system, could approach 19 tons dry weight/ha in the Coastal Plain. These yields can be expected to increase 10 to 15 % under a one or two cut system, appropriate for biomass production. NCDA (2004) estimates that 4.4 million could be grown switchgrass and that means 34.2 million tons of switchgrass yield per year, and 5.9 million tons of ethanol production per year (at 83% efficiency). That creates a $4 billion/year revenue industry. Furthermore, Switchgrass has potential as a pasture when properly managed, giving steer gains of about 1.0 kg/day, or it can be harvested as a forage, which can be stored as hay or direct cut and preserved as either baleage or silage. All forms are readily consumed by ruminants. In addition, switchgrass retains its high yield with only modest fertilizer inputs and with essentially no herbicides required after establishment. Further, the presence of switchgrass on the landscape is realished by wildlife as it provides habitat and food for both birds and small mammals aiding the struggle to improve wildlife diversity and to increase their populations. Although switchgrass has a great potential for NC agriculture in the future, little research has been performed so far on how to maximize ethanol production from switchgrass. Moreover, about 12% of switchgrass dry weight is lignin, which cannot be converted to ethanol and also requests severe and costly pretreatment processes to be removed. Genetic engineering has demonstrated the possibility to reduce lignin and simultaneously increase cellulose by partially blocking lignin biosynthesis in aspen. In this proposed study, we will combine Ag biotech together with industrial processing to reduce lignin, increase cellulose content, maximize ethanol production from switchgrass, and to lower the cost. In this group, we have expertise in grass transformation, lignin/cellulose synthesis biochemistry and molecular biology, fermentation production of ethanol from cellulose, and switchgrass breeding and cultivation. The goal of the proposed research is to develop transgenic switchgrass plants with reduced lignin and increased cellulose, and to develop a technology that efficiently converts genetically engineered switchgrass to bioethanol. By our calculation, conversion of each one per cent of lignin to cellulose would have a net increase of ethanol production by $95 million/year (assuming ethanol price is at $2/gallon) if the industry is running at its full scale, and no more input is needed. Our goal is to reduce lignin by 5 per cents (from 12 % to 7%), and it could create a net increase of $475 million revenue through the increased ethanol production. Although switchgrass is not a major crop for the moment in NC agriculture, its potential for the future can not be overlooked. The proposed research aims at strategic advantage for NC future agriculture. A small investment now could have a huge impact in the future.